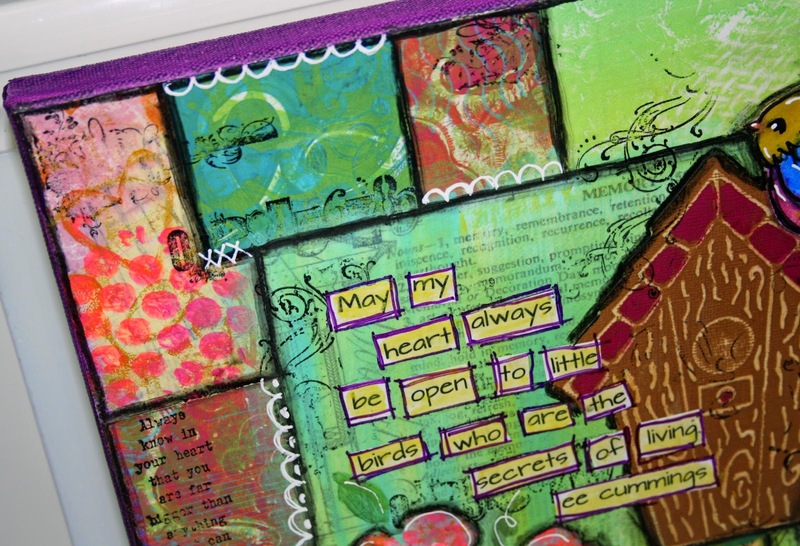 Hi Happy Stampers, I have another canvas to share with you today. 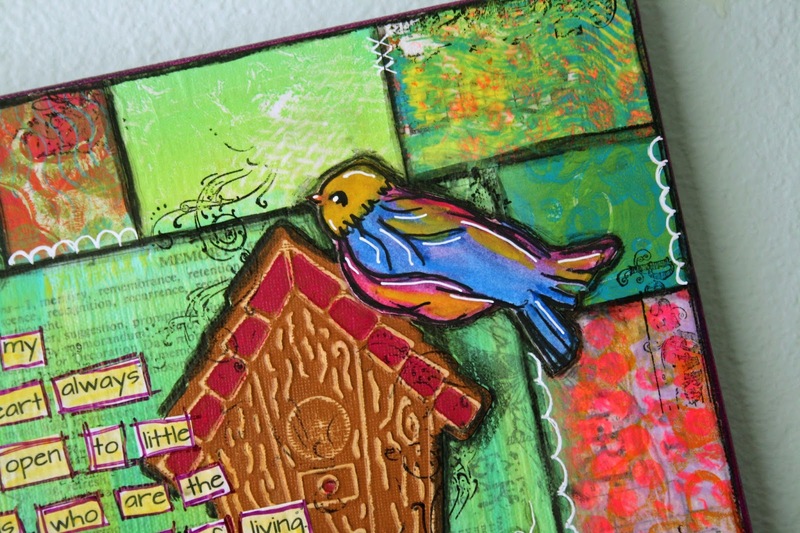 I had a Squiggly Bird left over from my other canvas and I just couldn't leave him by himself! 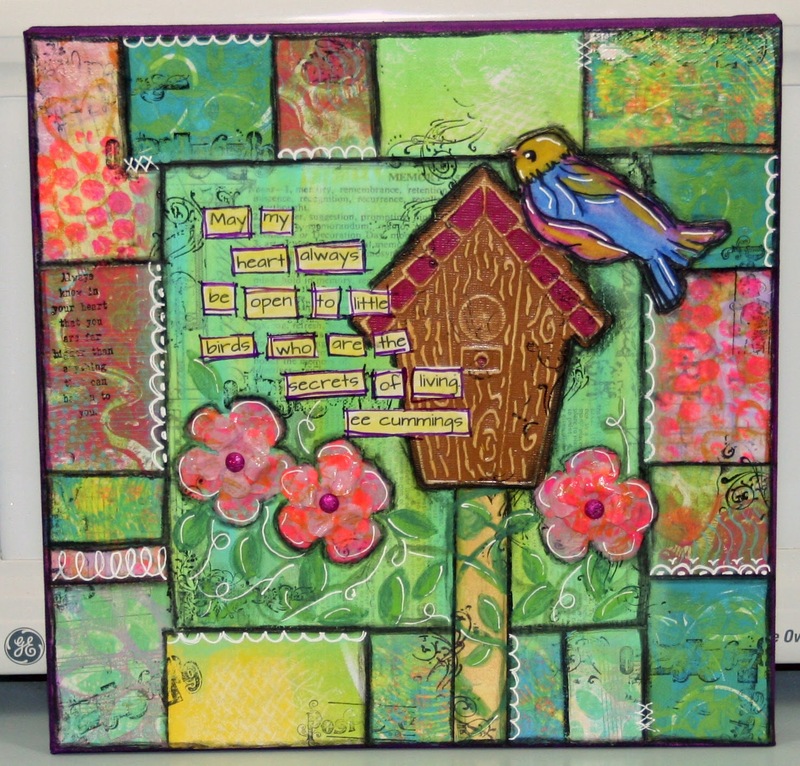 This one is a 12 x 12 made from cut ups of gelli prints for the frame. 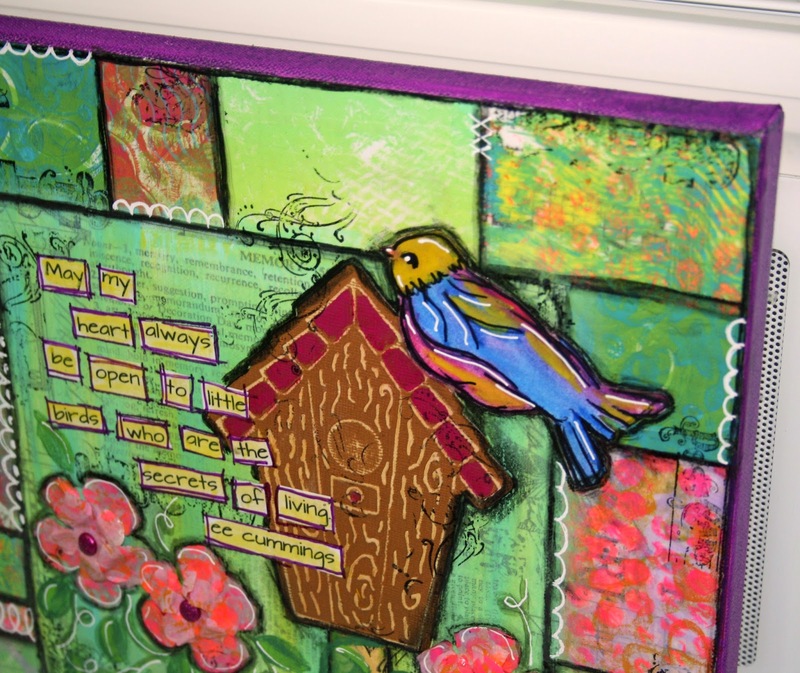 I also had the Sizzix birdhouse left over from the cards I made earlier so I put them together:) The flowers are gelli prints on deli paper and cut out with the Rose Creations Die from Spellbinders. 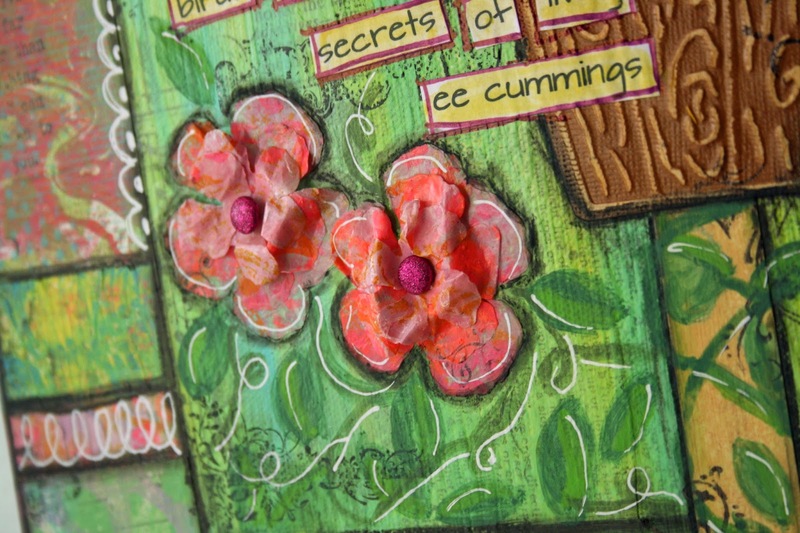 A bit more texture than the other one with the birdhouse and the flowers. 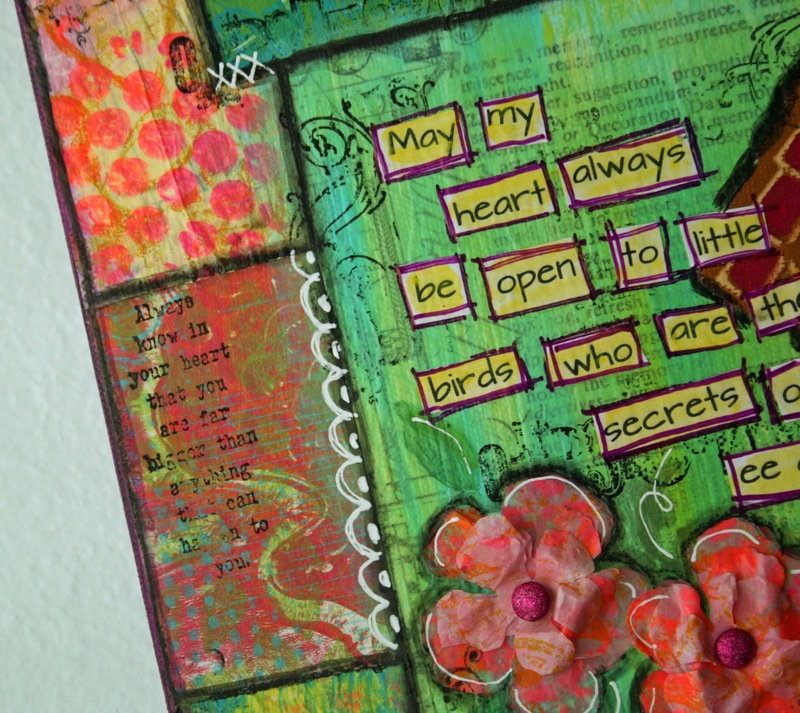 Hope you have a creative day and make something that inspires you!